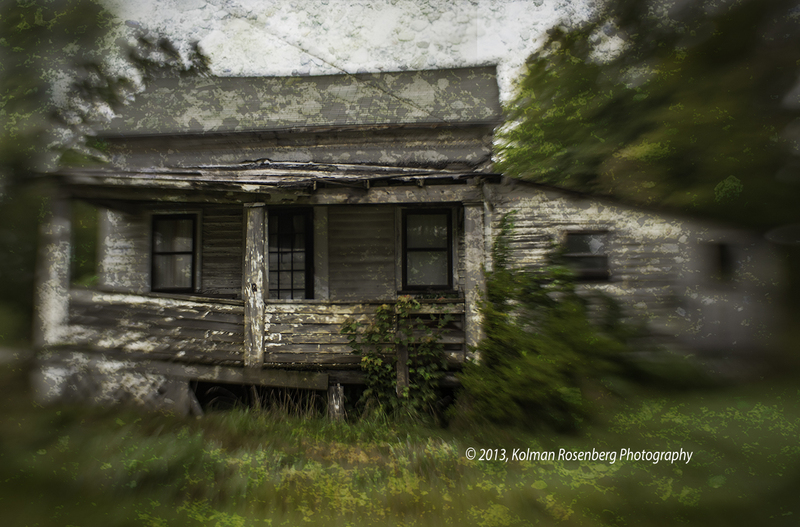 Last weekend a “barnstorming” photo shoot with a photographer friend resulted in many photos of decaying rural barns and buildings in Southern Ashtabula County Ohio. This large red barn and silo, sitting behind an abandoned home on U.S. Rt 6 in Rome, OH was in better shape than many. It’s windows were all broken but it’s roof was intact, unlike most we had come across. We saw several collapsed or partially collapsed barns and silos, whose owners came out and spoke with us and told us or their impending demolition. This particular property was soon to be sold at auction. Near the intersection of Rts. 322 and 534 in Orwell, OH we discovered this crumbling little home. The roof was sagging and climbing vegitation were taking over the front porch. It appeared that at one time this home sat in an active area of town, overlooking a little park. Today many of the building just south of it were in similar condition. This area made me very curious. What once was vibrant was now quickly decaying! One building which appeared to have been a hotel, was quite damaged and even had a satellite dish attached, indicating that it had been active not too long ago. Much has been written and photographed about urban decay in the big cities, but decay seems to obey no borders. Fortunately there is new development too in some of these areas! Perhaps it’s just the cycle of life? 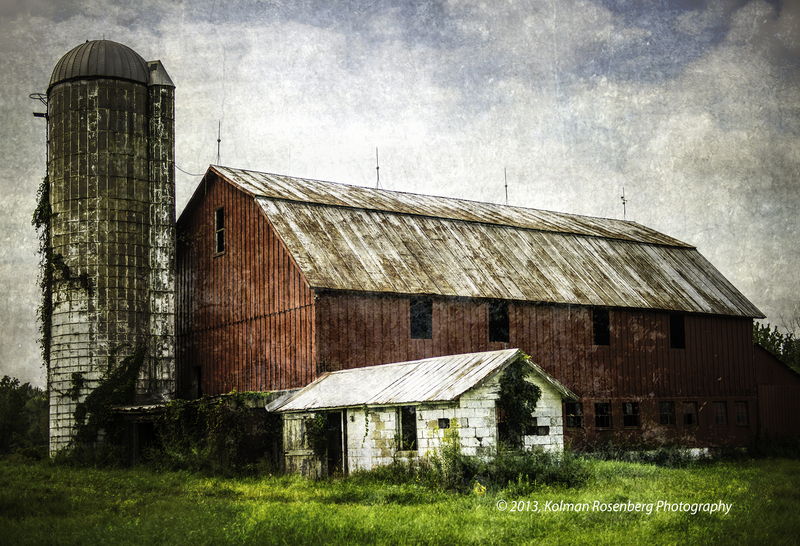 This entry was posted in Uncategorized and tagged ashtabula, barn, county, Decay, house, OH, ohio, porch, rural, shack, silo. Bookmark the permalink. I should have started keeping a journal of all the barns and homesteads I have seen just in the last year or so that are now gone. Many more will be gone shortly as I can see them being abandoned. I never thought about how important it was to document them by photographs and location. Thank you for sharing your wonderful photographs and experiences with us. My name is Terry. I am in college and i decided to take a photography class. My Teacher has given us an assignment to choose someone that has influenced our photography. I have chosen your rural decay photos and would love to see more. For I myself enjoy what people has forgotten and our future is losing out on. Hello Terry, I’m honored that you’ve chosen my photos! What college are you going to? There might be more further back, but these all capture some of the past! Hi this is Terry agin. I want to Thank you for returning my E-mail and wanted to Thank You for furthering my interest on your rural decay. I go to Hawkeye Community College in Iowa. I have lived here most of my life and these photo’s hit home with me when I have watched my grandfathers house be distroyed and the memories are all I have now. I only wished it was around for my children to see it. To me that was the best place to grow up in. But in todays society its all about who has more money, letting our past be destroyed by New. I only hope that our generation will take the time to look, listen, and wonder what it used to be like…..